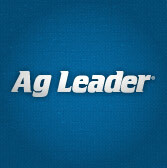 The leader in Precision Ag products and technology in the Mississippi Delta. We are authorized dealers and installers for the cutting edge companies and technologies below. Ag Leader is the leading name in precision agriculture and has grown to over 300 employees across the globe in North America, Europe, South America and Australia. Precision Planting is a leader in agriculture technology. They develop innovative products and solve important agronomic issues facing growers. They provide the insights and assistance so each farmer can reach their best yield.